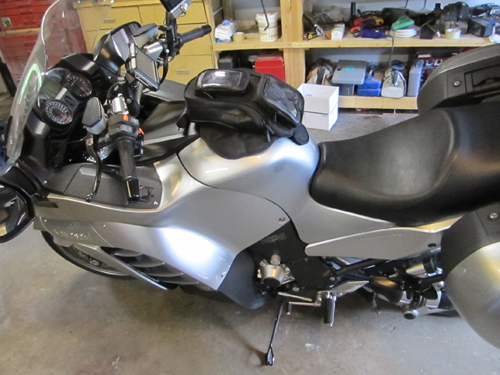 I have a 2011 and wanted a small tank bag. 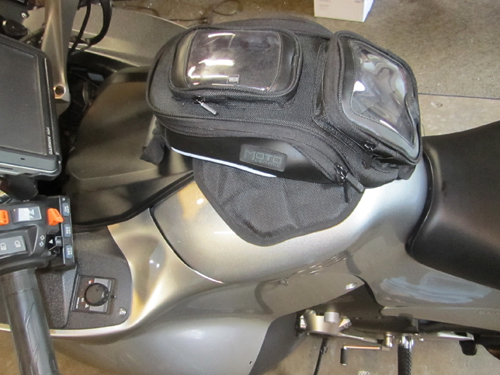 All it needed to do was hold a couple bottles of water and have a place where I could put my non-waterproof GPS and Lynx Satellite Radio when it rains but I still wanted to be able to use both items when they were stowed. 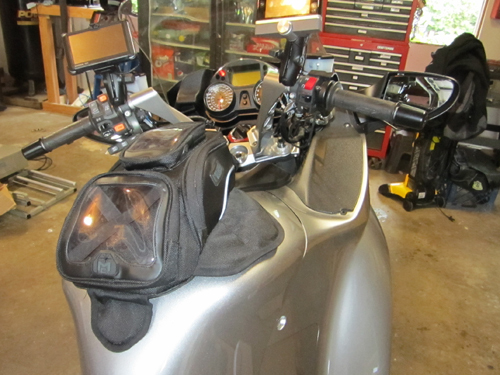 I came across the Motocentric Smart Space GPS Tank Bag. Thats a hell of a name. It holds what I need it to hold and the most important thing is its not too big and doesn't look too out of place on the bike. I've done about 1,000 miles with it and it stays where I put it and hasn't scratched the paint at all. 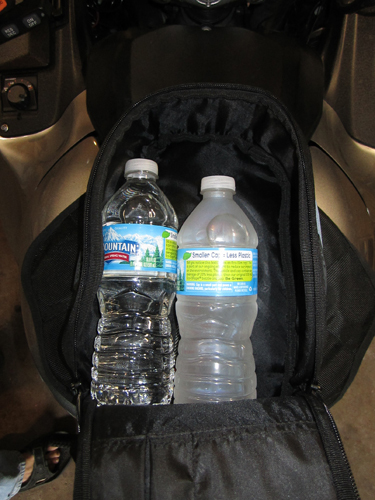 It has enough room for 2 full size water bottles but not much more. I haven't been in the rain with it yet but I did spray it with the hose (GPS wasn't inside) and it kept the water out. For $50 with the magnetic base, its well worth the money. My parts are forged with voodoo curses and unicorn tears.